He has graduated from the Athens School of Law (LL.B. ), where he also obtained an LL.M. in Public Law. He has obtained a DEA in Tax Law from the University Pantheon-Sorbonne (Paris I). 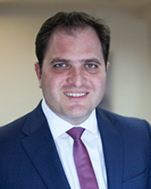 Following his tax studies, George Pitsilis has gained particularly significant know - how and practical experience in Domestic and International Tax Law.